Let me first start off by saying, I am weird. You see unlike many SEOs I started in this business as a developer. I began writing HTML in 1996, and since then, writing code has been a passion of mine. Even though I don’t do it professionally anymore, I am still tasked with analyzing other’s people’s markup on an almost daily basis. There are literally hundreds of tools available on the web for creating stellar markup. But the list gets smaller when we look for tools that simply do analysis, and then even more smaller when we look for analysis relevant to SEO. However, there are a few options available, and the best part is many of them are free! Most of the tools below are ones that I use regularly and I think they are great. However, if you have found other tools that work better, let us know in the comments. There has long been a debate over whether HTML that is w3c compliant ranks better. My thoughts are that it doesn’t matter if markup is w3c compliant for SEO, BUT w3c compliant code creates better web sites, and better web sites do rank higher. Also, even if you aren’t able to reach full w3c compliance, this validator will help identify caveats that you may have missed in other analysis. I personally think its a great tool and should be used in every markup analysis. Have you ever right clicked on a page, and hit “View Page Source”, only to be bombarded with a giant mess of code that gives you a headache? This is typical with sites that don’t follow a coherent develop structure, or use a quality CMS. 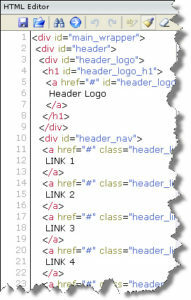 As such when ever I encounter a page of markup like this, I copy it entirely and paste it into this handy simple tool. Tabifier, will take a jumbled mess of markup, and clean it up by separating every element on its own line, and applying a tabbed structure that falls into a logical hierarchy. The result is a page of markup that is easy to read and process. You ever think about the things in your life that you absolutely can’t live with out? For me, along with coffee and the support of my family, FireBug is at the top of my list of things I can’t live with out. I can’t even tell you how many times a day I use this browser plugin. With it you can pretty much run any type of analysis on a web page. Including getting up close and personal with the page’s markup. The best part about it for me, is the ability to right click on any element on a page, select “Inspect Element with Firebug”, and get a very close up view of the markup that creates the element and its surrounding markup. But that is just a small slice of what this powerful plugin can do. I know that I spend a lot of time talking about Google, but the truth is Bing has some pretty sweet tools as well. The Bing Markup Validator will run analysis on a page’s markup and look for elements that are specific to SEO. Their finalized report will show analysis on Microdata, Microformats, RDFa, Schema.org, and OpenGraph. These are all important elements to SEO, which is why this tool is so important. Some other markup validators won’t validate Schema.org markup or OpenGraph because they aren’t included in standards defined by the W3C. However they are obviously a staple set of markup with in regards to SEO. There are Many more great tools available on the web for markup analysis. Let us know in the comments, which are your favorites! One I would add to the list, though it’s a bit specific, is Google’s rich snippet testing tool. It’s a great tool for testing and validating your structured markup.